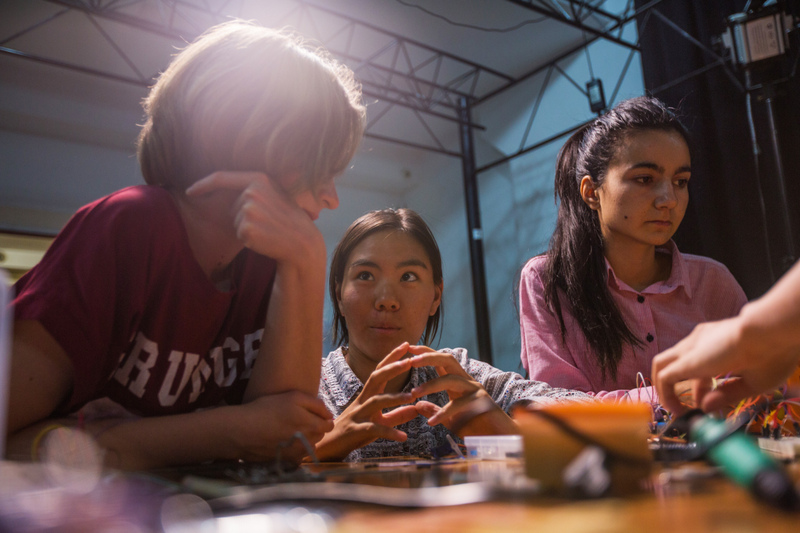 In Bishkek, the capital of Kyrgyzstan, a dedicated group at the Kyrgyz Space Program is intently focused on building their nation’s first-ever satellite and prepping it for a 2019 mission. The surprise: the team consists of roughly a dozen young women between the ages of 17 and 25 — and Kyrgyz Space Program is the name they’ve given themselves. Kyrgyzstan is a sparsely populated country in the mountains of Central Asia whose economy is based on agriculture and mining; more than 30 percent of people here live below the poverty line. And it’s not one of the 72 countries with an official space agency. So … why did a news reporter start a space program? The story starts back in 2007, when Iskender cofounded a project he called Kloop. An independent, Bishkek-based journalism school, Kloop gives young people ages 14 to 25 the tools and chops to produce high-quality reporting, with an emphasis on politics, human rights, culture, music and sports. It encourages peer-to-peer learning by enlisting older students to teach the younger ones. And it changed education and journalism in Kyrgyzstan forever. Kloop’s stories took aim at corrupt politicians, exposing serious abuses such as election-related bribes and fraud. Soon, the upstart reporters began scooping traditional press outlets. Today Kloop is recognized as one of the top five news sources within the country, surpassing even BBC Kyrgyz Service. 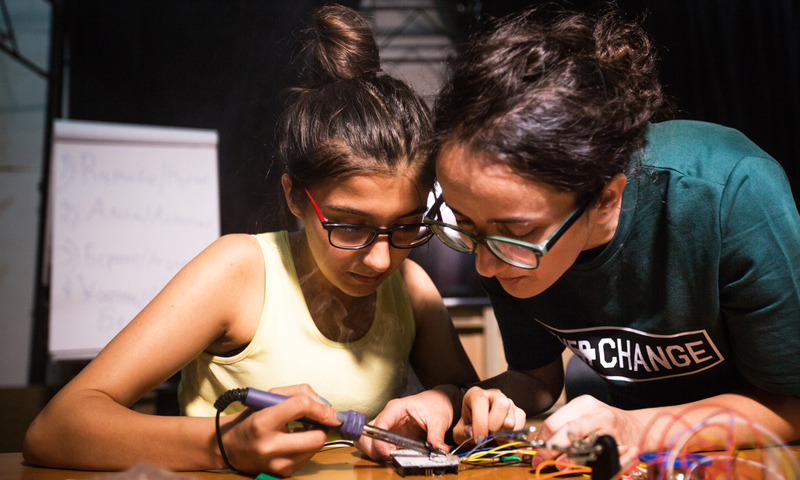 It seemed like a stretch: what was the connection between a youth-led media company and space technology? The answer: computer programming. Coding courses were already part of the Kloop curriculum. “We work with open government data in our investigations, extracting data related to corrupt officials, and so on. For that, you need coders, which are expensive. So we decided to grow our own,” says Iskender. Kloop put out a call for women and girls with some coding experience to join the class. About 50 young women turned up, and now, a dedicated group of a dozen meet twice a week at Kloop’s office, where they’re led by two alumni of Kloop’s programming course. 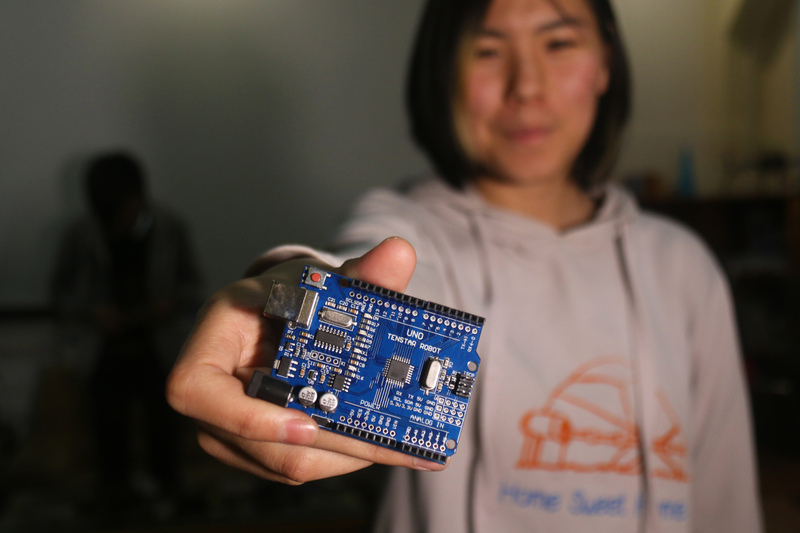 They’ve spent the first part of the class learning engineering basics, including how to solder and work with Arduino hardware. They’re also receiving instruction in coding (if they’re not already proficient) and 3D printing. All images courtesy of Kloop. If you’d like to support the Kyrgyz Space Program, visit its Patreon page. Karen Frances Eng is a contributing writer to TED.com, dedicated to covering the feats of the wondrous TED Fellows. Her launchpad is located in Cambridge, UK. This piece was adapted for TED-Ed from this Ideas article.